'A mirthless chuckle' is also what most merits the Coen brothers’ homage to 1950s moviemaking. The filmmakers lovingly and gorgeously—thanks to their longtime collaborator, cinematographer Roger Deakins—skewer everything from sword-and-sandal pictures, to Westerns, to song-and-dance musicals. 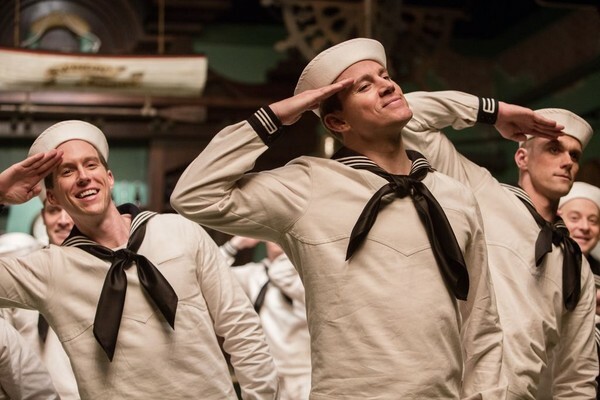 But the screenplay’s disparate parts and characters never coalesce, so the whole of Hail, Caesar! is strikingly less than the sum of its parts. The film’s protagonist is Eddie Mannix (Josh Brolin), a “fixer” for Capital Pictures tasked with rescuing starlets from risqué photo shoots, jousting with twin columnists (both played by Tilda Swinton) looking for a scoop, and working damage control over the impending out-of-wedlock pregnancy of DeeAnna Moran (Scarlett Johansson), a fussy, Esther Williams-type aquatic musical star. A burned-out Mannix is also weighing a lucrative 9-to-5 job offer from an aeronautics corporation. But as his final decision looms, Baird Whitlock (George Clooney), the bankable star of the titular peplum pic—subtitled The Tale of the Christ, an obvious allusion to Ben-Hur—is kidnapped by a gaggle of Communist screenwriters holed up in an area beach house. As Mannix frantically tries to find Whitlock before his movie implodes, he must also cope with the sundry calamities of his job, including Laurentz’s complaints about Doyle, whose aw-shucks drawl clashes with an urbane comedy named Merrily We Dance. Mannix visits a soundstage where Channing Tatum channels Gene Kelly in a Navy musical patterned after Anchors Aweigh—the dance routine to a diddy titled “No Dames” is a showstopper. Along the way, we strumble across glorified cameos by Frances McDormand as a grizzled film editor, Jonah Hill as a shadowy notary and Christopher Lambert as a lascivious movie director. Watching Hail, Caesar! becomes an exercise in star-gazing, as any hope of an engaging, cohesive storyline vanishes sometime between Whitlock’s umpteenth humorless prattle with his blacklisted captors, and the appearance of a Soviet submarine off the coast of Malibu. The Coens’ trademark deadpan absurdism grinds along like an engine trying to find its gear. The whip-smart wit of the directors’ seminal farces is lacking, save for an uproarious scene in which clergy of disparate faiths debate the proper cinematic depiction of Jesus. The Coens appear torn between lionizing and lampooning the so-called Golden Age of Hollywood, a fine line they expertly traversed in Barton Fink. Hail, Caesar! is like Whitlock’s climatic “Speech at the Feet of the Penitent Thief”—rousing at its best, but ultimately bloated and leading nowhere.